Home / house / Who Knew We Were So Popular?!!!!! Who Knew We Were So Popular?!!!!! I have to admit….the three of us are blushing a little! Well…. actually a lot! So far this month, we’ve been featured in The Lane Report, TOPS Magazine, Kentucky Monthly, The Herald Leader, and a number of other magazines and newspapers in the area! It seems we’re everywhere! 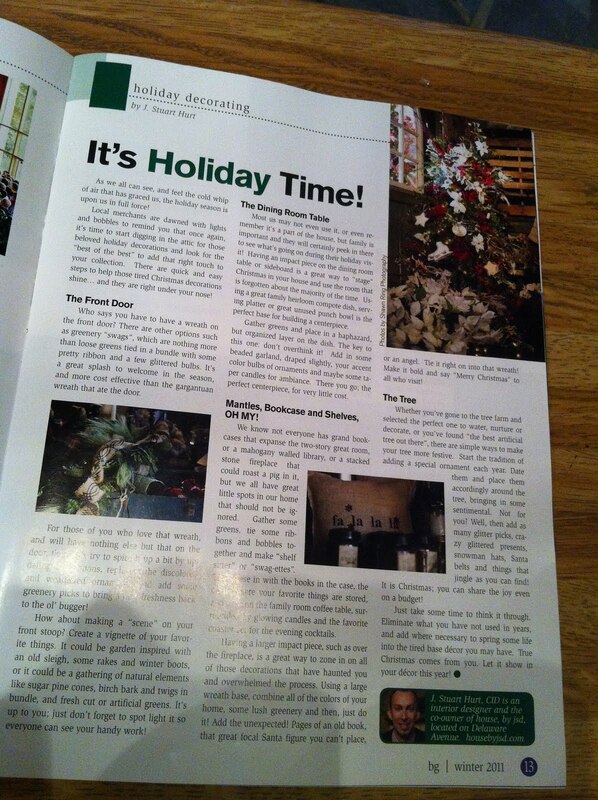 Stuart wrote a great article for the Lane Report about Holiday decorating! If you would like to read the article, make sure you find the magazine, or you can download the articlehere. 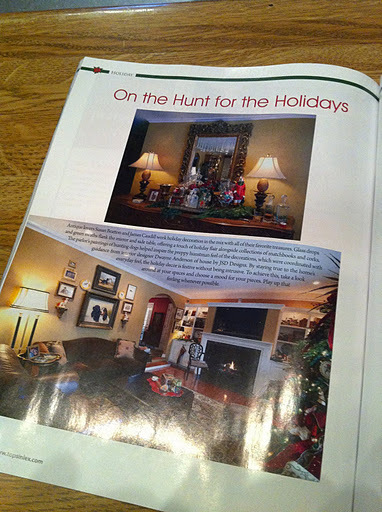 Dwayne has a home that he’s decorated for years featured in TOPS magazine! There are several great pages of wonderful classic and traditional Kentucky touches in this one! How can you go wrong with classic!? And Dwayne definitely proves that with this home! And don’t miss Kentucky Monthly this month! There are several pages of Christmas touches that I worked on. Here’s a little inside information! All of the photos for KM’s Christmas part was taken at Dwayne’s home in Paris! And his children really did make the finger paint canvas seen in the magazine! AND YES….those really are his framed family recipes on the hutch! Try not to miss any of the stories out there about house this month, and even more…don’t forget to share them with your friends!!! !